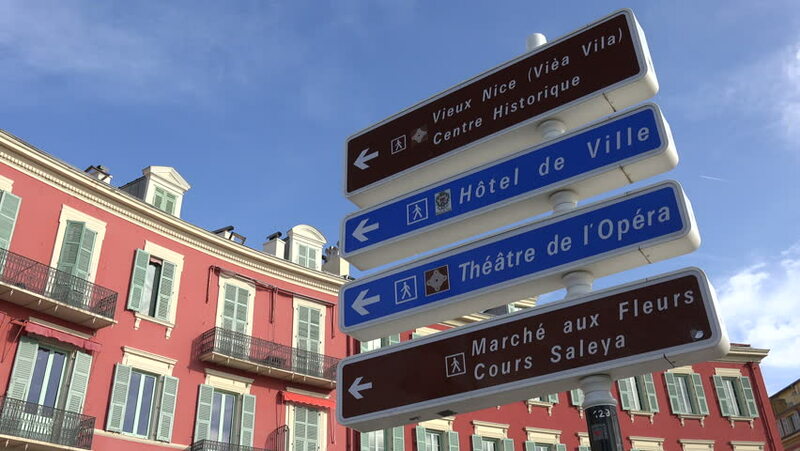 NICE, ALPS MARITIMES/FRANCE - APRIL 29, 2015: Tourist direction signs for attractions in Nice. Nice is the second-largest French city on the Mediterranean coast and popular with tourists. hd00:09Tombstone, AZ / USA - August 1, 2018: Pan shot of the Gunfight Palace theater sign. Clip reveals a showtime marquee for a recreation program highlighting violent activities from the past. hd00:15Timelapse of Subway Tunnel entrance in Beijing, China. hd00:08Tombstone, AZ / USA - August 1, 2018: Shot of the Gunfight Palace theater sign. Clip reveals a showtime marquee for a recreation program highlighting violent activities from the past. hd00:15TEMPE, AZ/USA: January 30, 2017- Low angle shot of brand new luxury apartment sign in Tempe Arizona. Clip demonstrates the growth of an expanding city suburb. hd00:19Los Angeles, California / USA September 9th, 2018: Los Angeles Convention Center Sign Los Angeles, California.